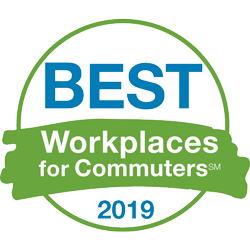 TAMPA, Fla., January 31, 2019	(Newswire.com) - Announcing today the 2019 Best Workplaces for Commuters (BWC) annual list of U.S.-based employers who meet the program’s National Standard of Excellence. The list includes companies like Whole Foods Market, Ernst & Young, LLP, Logistics Management Institute (LMI), Lyft, Mayo Clinic, Merck & Company, Inc., NCR Corporation, Netflix, Oracle USA, The Bicycle Chain, Tyson Foods and YouTube, along with universities such as Yale University, Duke University and Ringling College of Art and Design. The list also includes Best SITES, such as Stanford Research Park, Thompson's Point and South San Francisco Business Center. The 2019 list of employers receive national recognition for offering exceptional commuter benefits to more than 1 million employees. To qualify for the national designation, workplaces must submit an online application annually to demonstrate they meet the BWC National Standard of Excellence. The Best Workplaces for Commuters program offers awardees access to a wide range of support services to promote travel choices other than driving alone in the rush hour, including webinars, benchmark surveys, and guidebooks. These resources help workplaces understand how commuter programs benefit their organizations and employees.